It has been busy busy here at the Scissors house:) This whole week was spent working at VBS in the arts and craft class :) It was a total blast. I even met some amazing people who I know were brought into my life as a huge blessing. 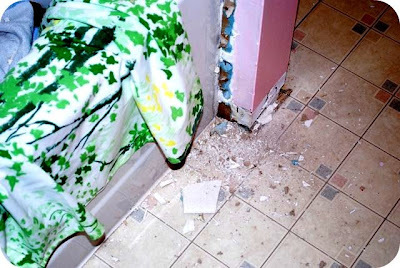 We are currently getting ready to renovate our bathroom and kitchen here at the condo. These are both rooms that have not been updated at all since this place was built 14 years ago. 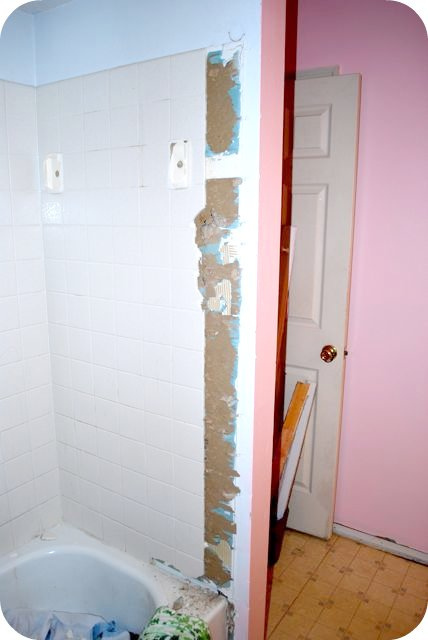 We are re-tiling and, and installing new bathroom cabinets, tile work, toilet, and storage in the bathroom this week!! We have been saving for like 2 years and we are super excited to be doing it ourselves (with loads of help and guidance from the best aunt and uncle around). Yesterday, I worked on cleaning out all of the cabinets and organizing all of the supplies needed for those projects. I supplemented my time in between with working on the custom quilt I am working on for Lindsay!! I was super excited to finish the quilt top and I must say, it looks so lovely :) Lindsay did a super job choosing the fabrics for the quilt. What do you think? adore!! I also sewed some fabric on the front of my journal for the upcoming journal class that I am teaching which starts TOMORROW. I seriously can not wait!! Ok, I need to get back to busting some tile. Have a wonderful Sunday friends. Mad Men is back tonight!!! eeeeek! DEMOLITION!!! so much fun!! I bet its a great way to relieve some stress!!! 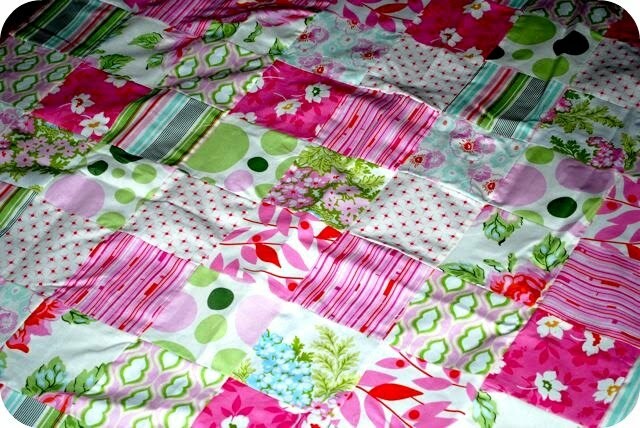 I am absolutely loving the quilt!! It's soooo pretty!!! I am actualy watching Mad Men right now! I'm still on the first season though. I am so excited for class to start!! Yippeeeee!! 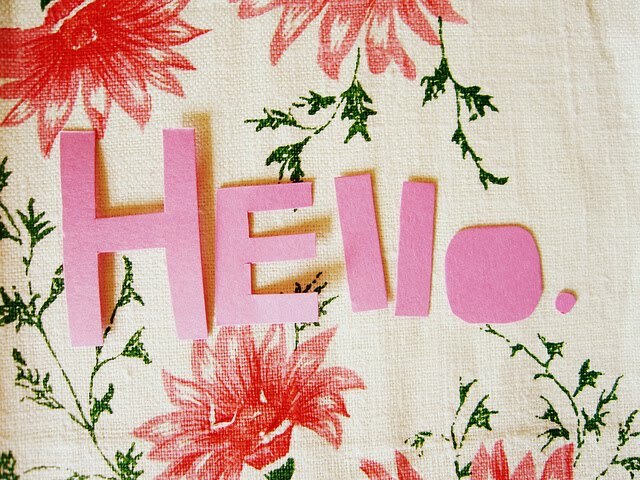 Love you!! 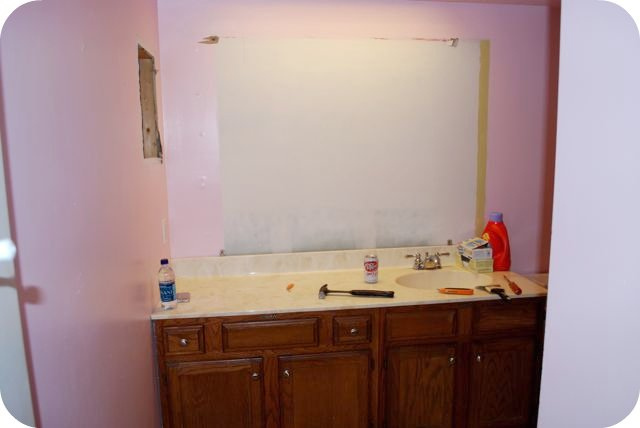 I know your gonna love your new bath when all the remodeling is done! 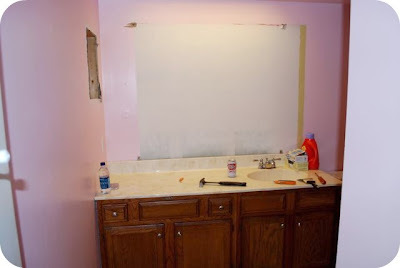 we redid our bath in our prev home and gutted everything. it was a mess. but it was nice after the work was completed. Lindsay's quilt is beautiful!! she did pic out nice prints and you're doing a fantastic job on creating it. One can tell you are putting alot of luv into this treasured quilt. thanks for sharing all the pics. the quilt is looking absolutely adorable! Good luck and Have fun with it! It sounds like an amazing experience. Also, I adore your quilt. It's beautiful!!!! i wanna come help demo!!!! 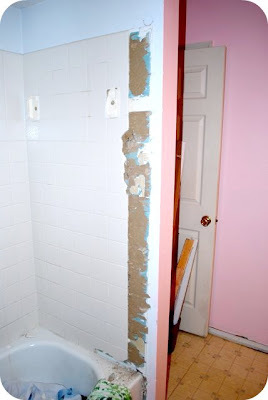 i love home projects! the scissors house!! i love it!!!! 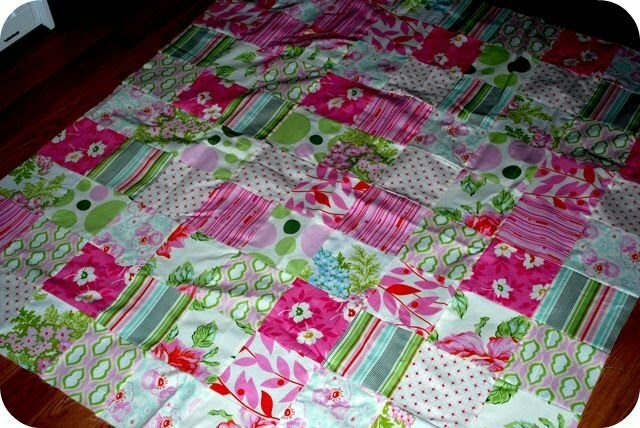 the quilt is perrrrrrfect! wow! ok L-O-V-E the quilt!!! And loving the pictures!! I know it's hard work doing it but it'll be so worth it when it's over! Can't wait to see the finished product! 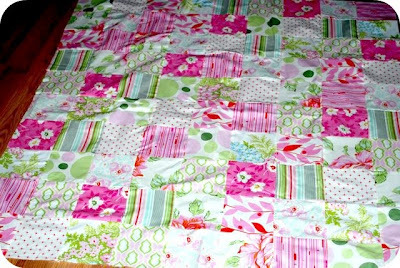 Love watching the quilts progress, its really looking very lovely now! Good luck with all your renovations, I bet pulling things down would be loads of fun!